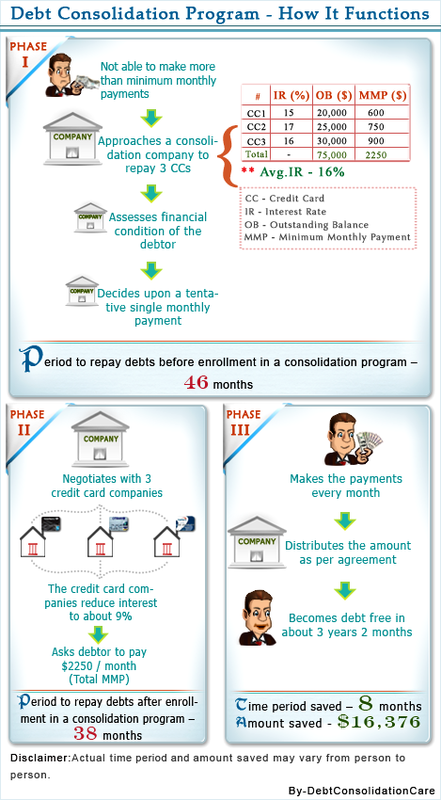 The debt consolidation program infographic gives you the in-depth analysis of the program. It also shows how debt consolidation program can help debtors save money within a certain number of months. The mathematical representation shows the exact amount you can potentially save through the program.